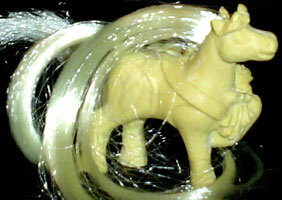 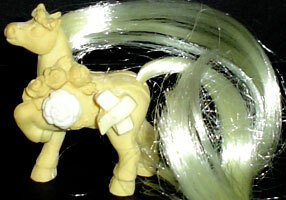 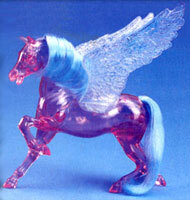 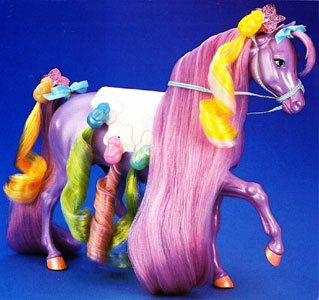 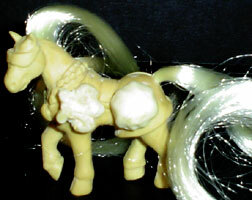 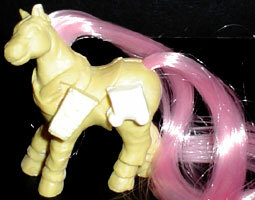 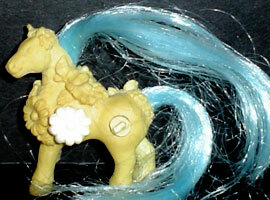 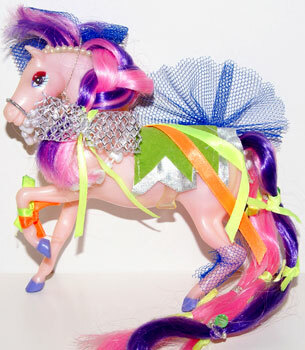 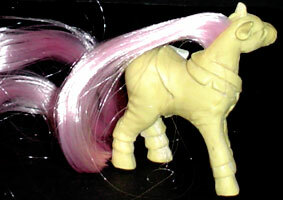 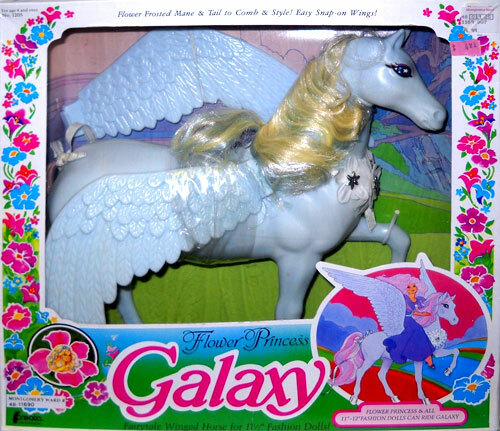 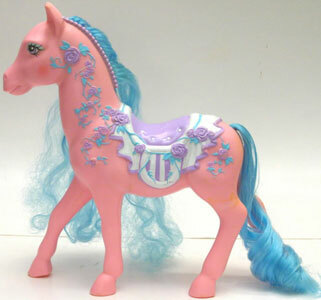 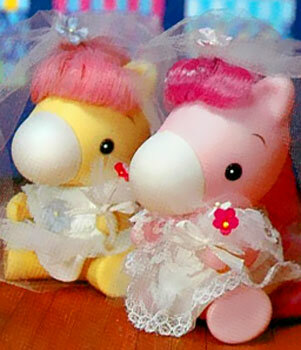 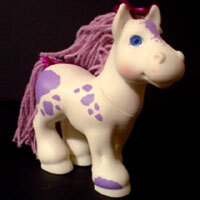 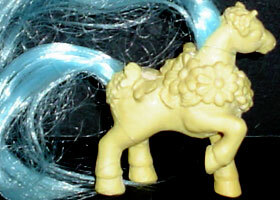 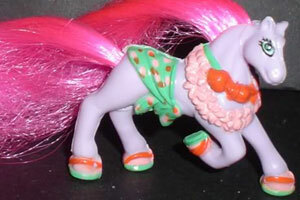 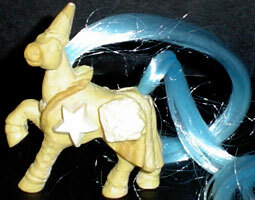 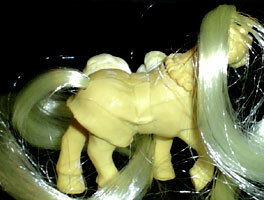 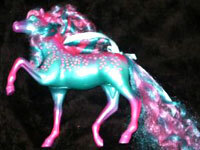 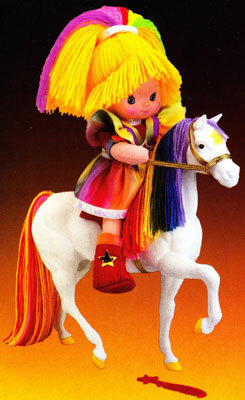 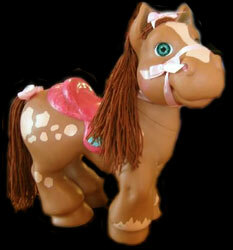 As I've never come across any images of the Growing Hair ponies (other than the prototypes below), it's possible that they were never produced, or only at a very small level. 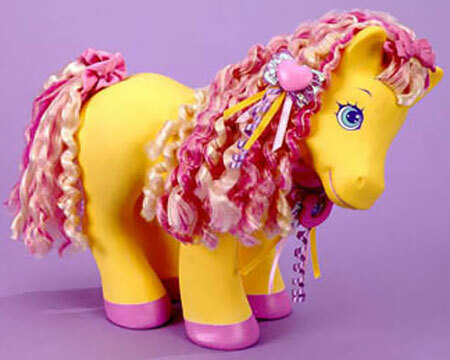 I would guess that their hair could grow in length via a winding mechanism controlled by a couple of the decorations on the ponies side. 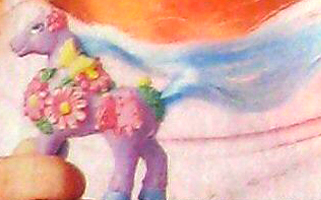 In the case of the packaging image, it would be either the flower above its front left leg or the butterfly on its left hip. 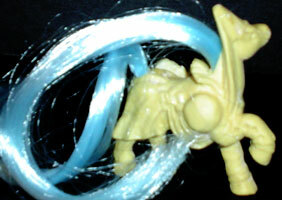 If you know anything about this set or have any images I can use here then please contact me! 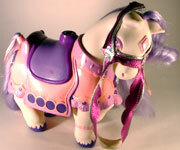 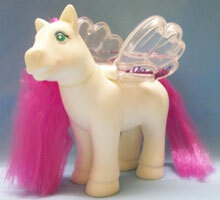 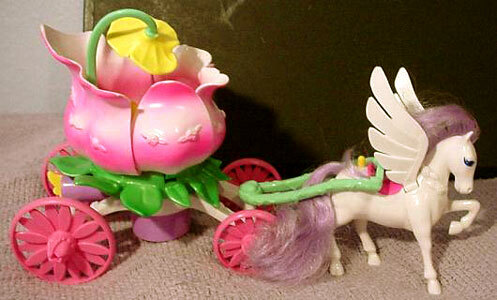 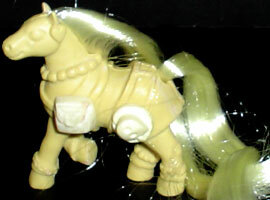 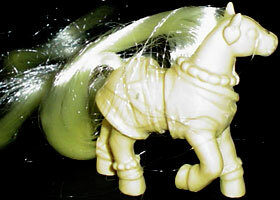 These prototype images are probably the closest we are going to get to seeing these ponies! 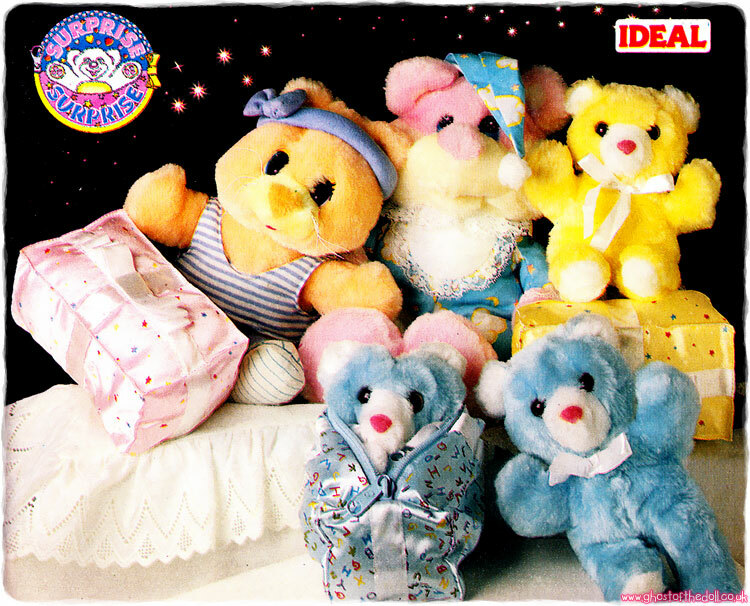 There are six different prototypes pictured below, possibly the complete set.